I do a huge amount of Christmas shopping on Amazon. 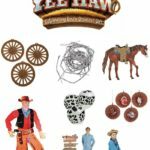 All items featured within this gift guide are linked directly to the product on Amazon (hello, 2 day shipping!) If you’re not already a Prime member, now is the time to do it! If you want to give Amazon Prime a try before commit to buying their annual membership, you can totally do that here! All items featured are organized by price range, and all are available for free tw0 day shipping. Prices tend to fluctuate daily on Amazon, so the prices listed below may not exactly match what Amazon has them listed for, so do keep that in mind! 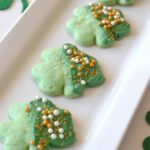 Without further adieu, here’s my top kitchen gift picks for 2018! 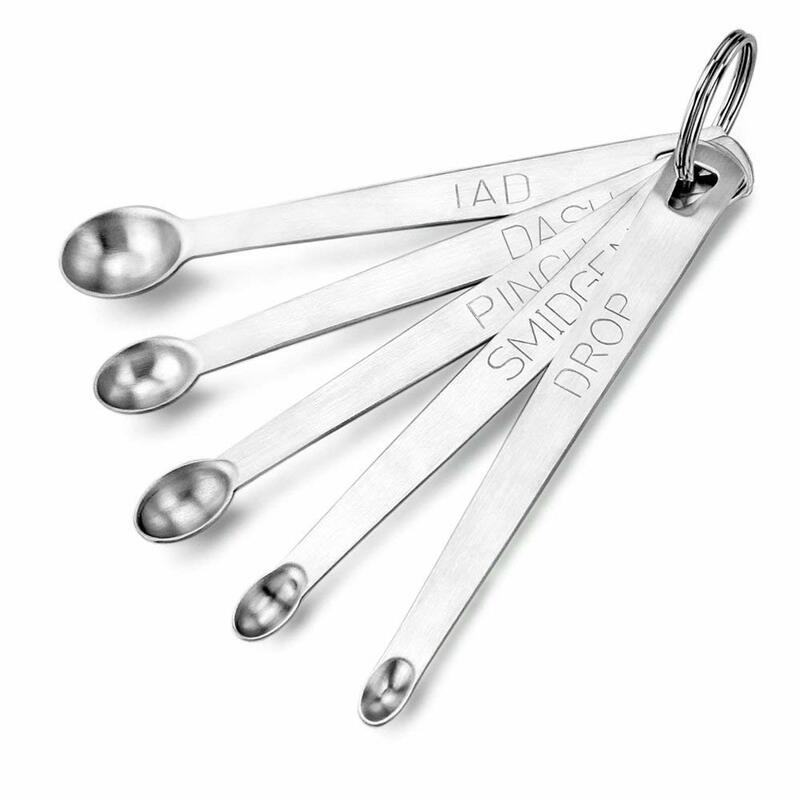 Smidge, Dash, Pinch Measuring Spoons – $5.99 – Do you have a collection of Grandma’s recipes that call for a “tad” of this and a “smidge” of that? Or is there a foodie on your Christmas list that measures from their heart and not by the book? (That’s really the best way, in my opinion!) Here’s the gadget they need to get the flavors just right! Baggy Rack – $7.99 – I can’t even count the number of times I’ve been desperately trying to fill a resealable bag with food, only to have it slip out of my fingers while I’m pouring the contents in. 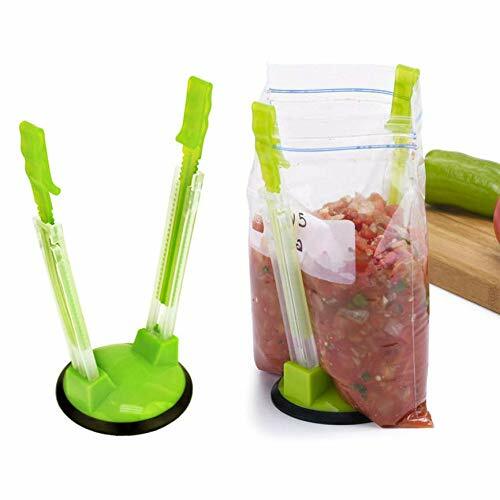 This tool would especially come in handy when putting up food to freeze or if plastic containers aren’t available for people to take leftovers home in! 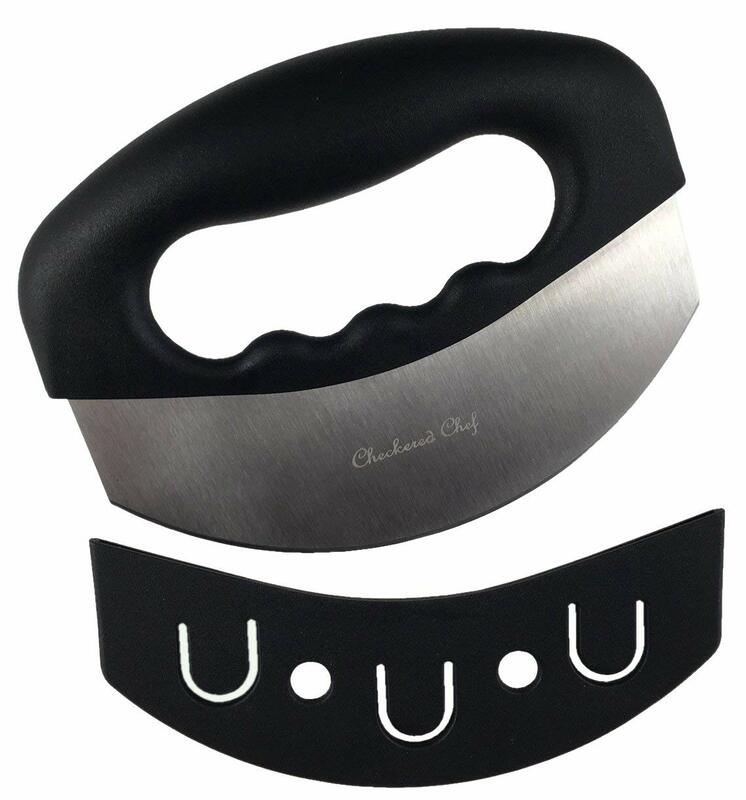 Mezzaluna Rocker Knife – $9.99 – If you know someone who loves to cook with fresh vegetables but is on the slower end of the spectrum when it comes to chopping (that’s me ALL day long!) then this little gadget is a great tool! 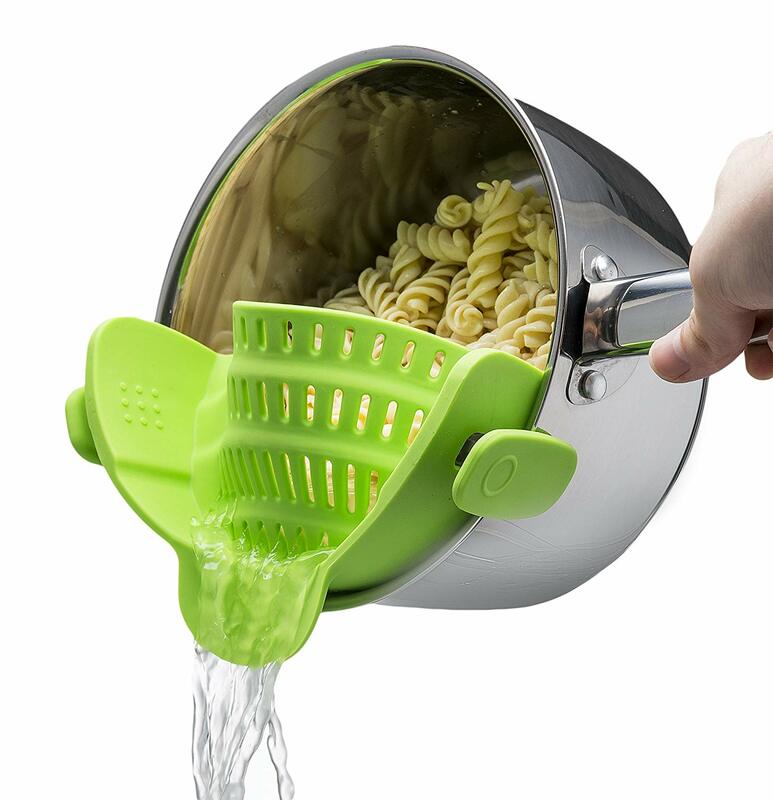 It helps speed up the process of chopping vegetables with a simple rocking motion, and who doesn’t want to save time when prepping veggies to cook?! Melon Baller – $8.99 – Ever wonder how people get those perfectly round shaped pieces of melon in that beautiful fruit bowl or tray? They use a melon baller! I’m already daydreaming of all of the beautiful summery dishes that could be made even better with one of these! 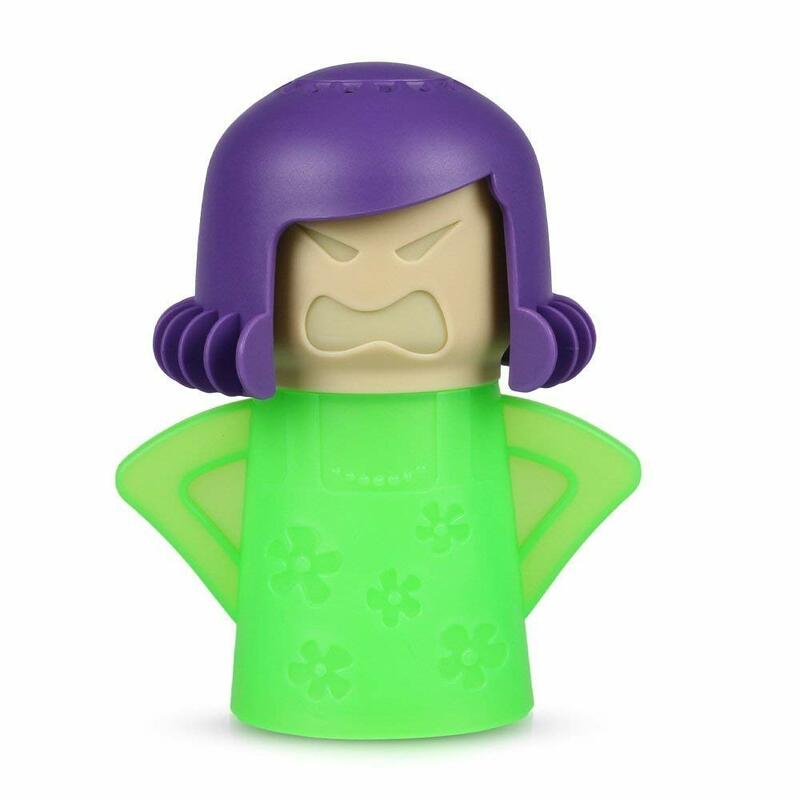 Angry Mama Microwave Cleaner – $6.70 – Messes in the microwave are inevitable – especially when numerous people in the house are using it every day! This little angry mama releases steam and makes all of that built up gunk on the side of the microwave wipe off with ease. Plus, having this angry face perched on top of the microwave staring at you is a good way to remind people to clean up the messes they leave behind! Microwave Plate Splatter Cover – $9.87 – Speaking of microwave messes, this splatter is the real MVP when it comes to keeping messes at bay! Reheating chili this time of year is always the worst. Luckily, I don’t worry much about the messes, because my splatter cover keeps it in check! 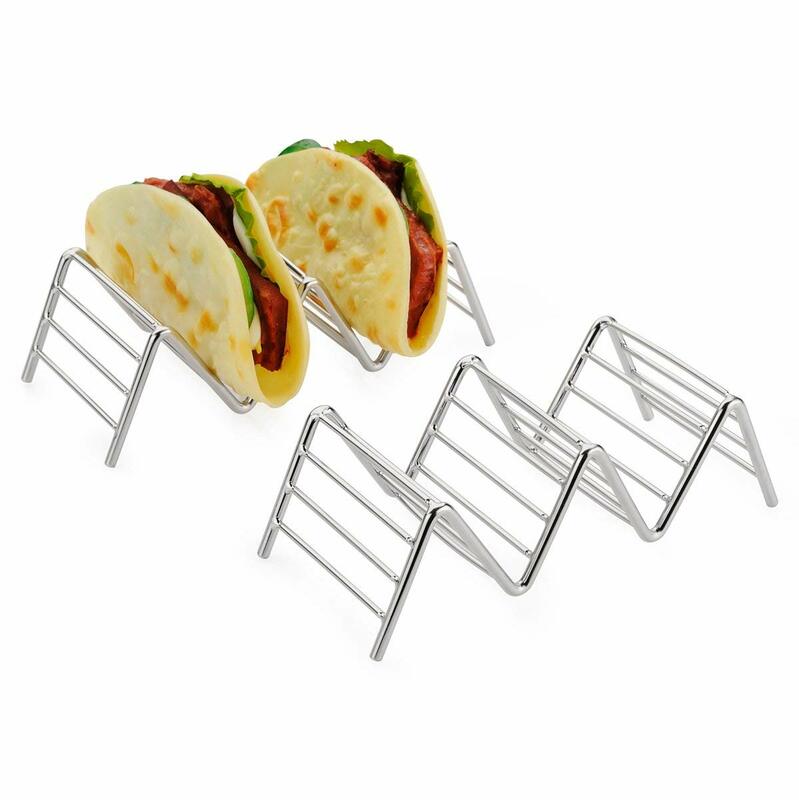 2 Pack Taco Stands – $7.99 – Know someone who loves to throw down on Taco Tuesdays? These stands help keep the tacos standing upright so all of the toppings don’t fall out. They earn bonus points for keeping the tacos pretty until they’re devoured, too! 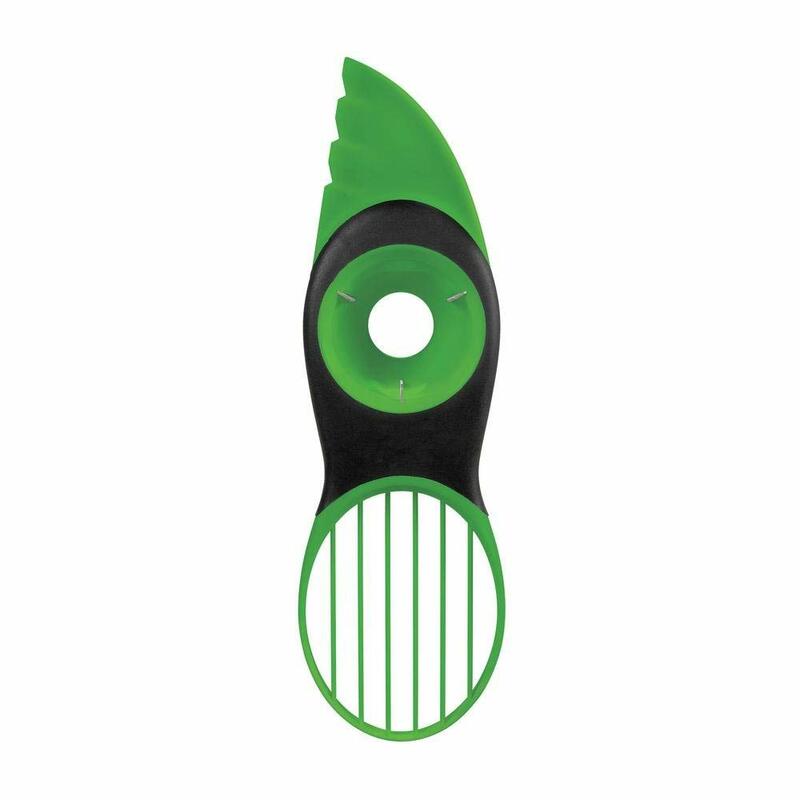 Avocado Slicer – $9.99 – To go right along with the taco stands, anyone who loves avocados needs one of these bad boys in their life! Avocados can be tricky to peel sometimes, and this handy device splits, pits and slices them perfectly every time! 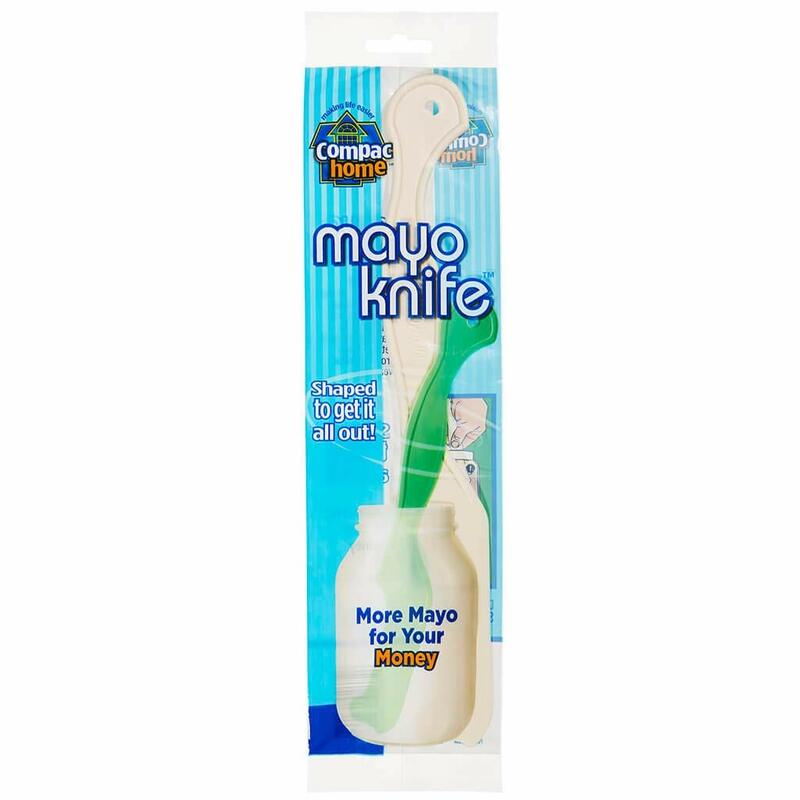 Mayo Knife – $5.03 – Don’t just order one of these. Order 2 for your friend and THREE for you! I cannot stand when the knife being used to spread mayo (or any other condiment) falls into the jar and gets mayonnaise all over it. Don’t even get me started on trying to scrape the remnants out of the jar! Luckily, someone out there had people like me in mind when they created this, and it’s turning all my mayo-problems into mayo-dreams! 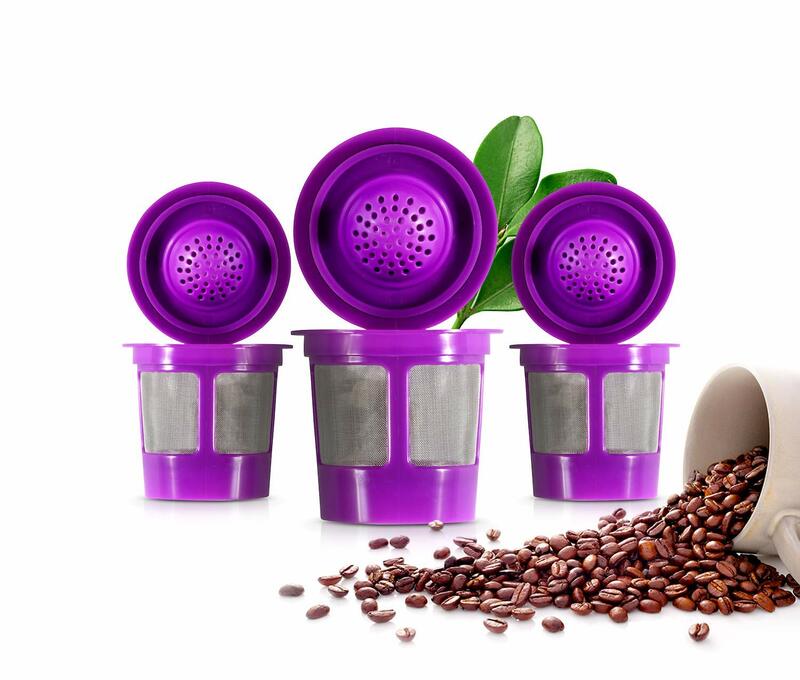 Reusable K-Cups – $8.95 – Friends don’t let friend waste money on disposable K-cups for their Keurigs. Seriously. I’ve been using reusable K-Cups for over a year now, and the amount of money being saved by buying ground coffee and filling these reusable cups ourselves is amazing! 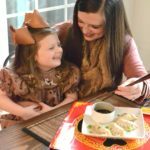 Cell Phone Stand – $8.99 – Looking up a recipe from Southern Made Simple to try for supper tonight? 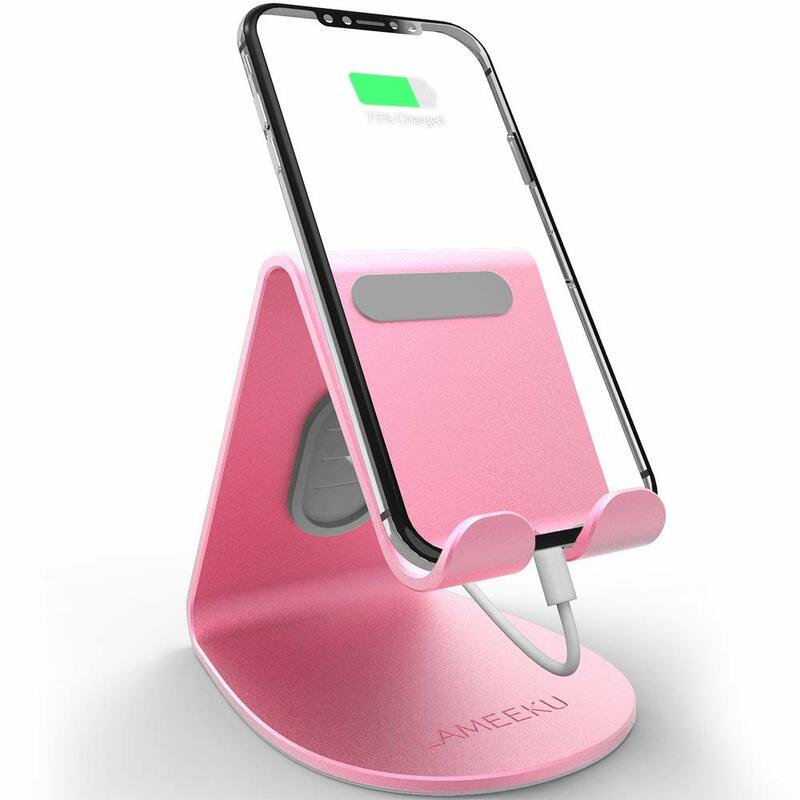 If you’re looking your recipe up online, having a cell phone stand nearby in the kitchen so it doesn’t get dirty while you’re cooking is a must! 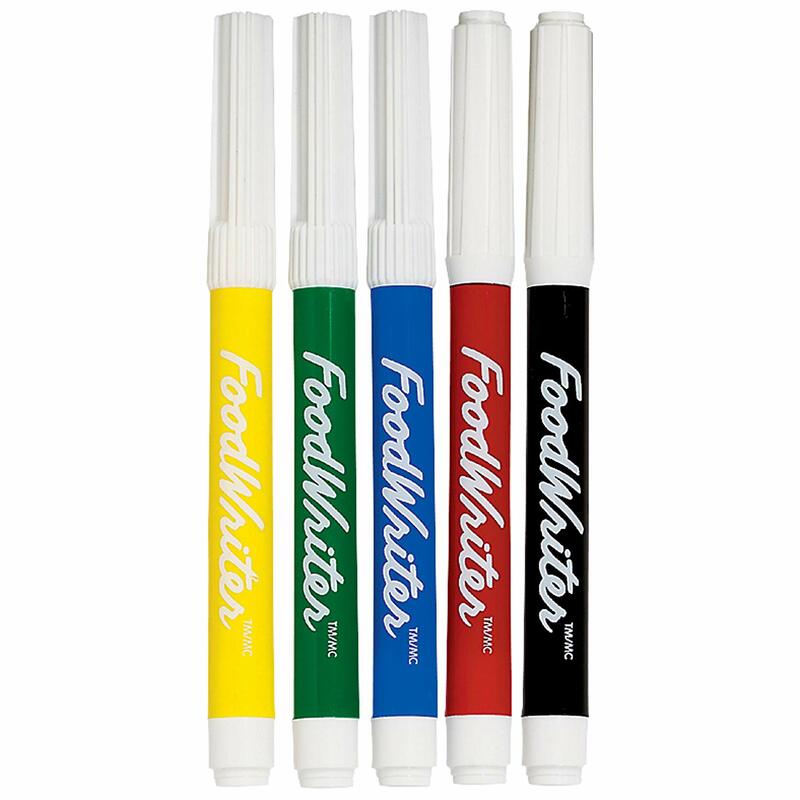 FoodWriter Edible Markers – $7.03 – Is there someone on your list that loves to bake? These edible writers are perfect for writing on cookies, fondant and all sorts of other fun confections! I sometimes use these to draw cute little faces or saying on the outside of fruit for my family! They’re a fun little tool to have on hand, especially if there are children in the house! 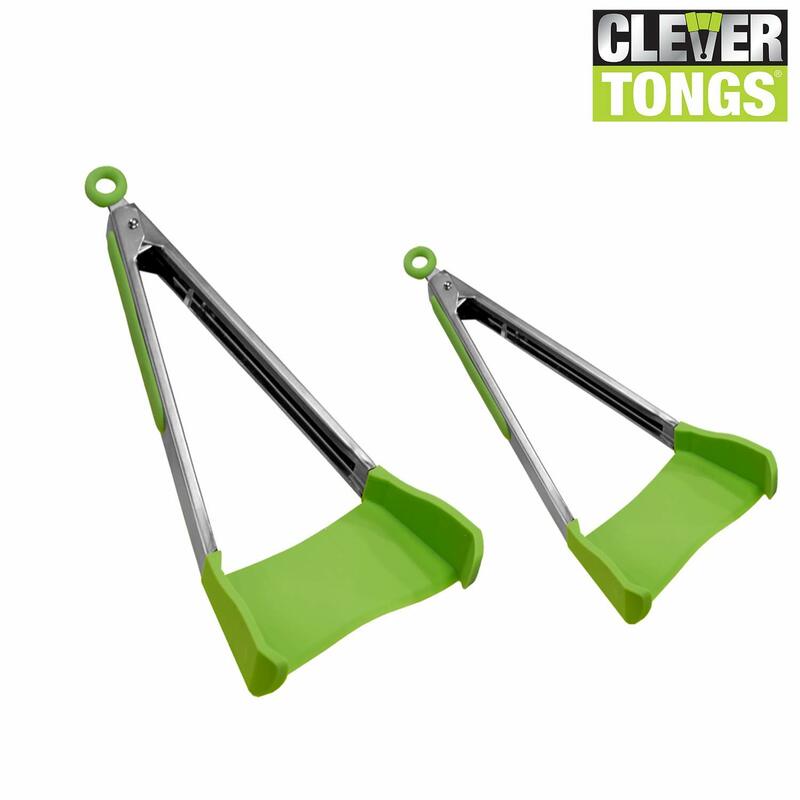 “Clever Tongs” – $14.99 – These tongs are a personal favorite of mine! Have you ever baked french fries or veggies like asparagus in the oven and have a hard time scooping them off of the pan and onto your plate? Clever Tongs function as both a spatula and a pair of tongs so it’s super easy to pick up your food in one fell scoop! 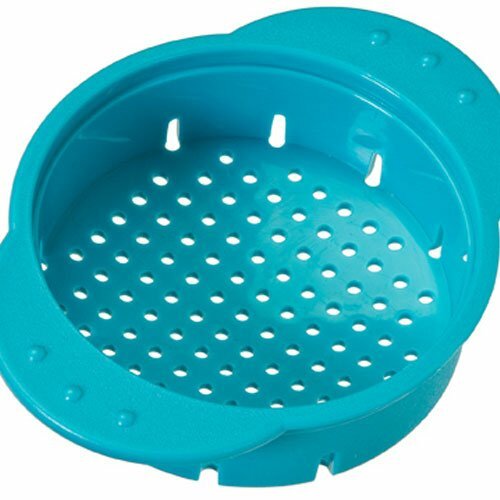 Snap N’ Strain Strainer – $12.99 – Everyone needs a strainer, right? I hate how bulky my strainers are, and they take up SO much room in my dishwasher! I love the idea of clipping a small one right on the side of the pan so I can strain my pasta with ease. I’ll take two, please! 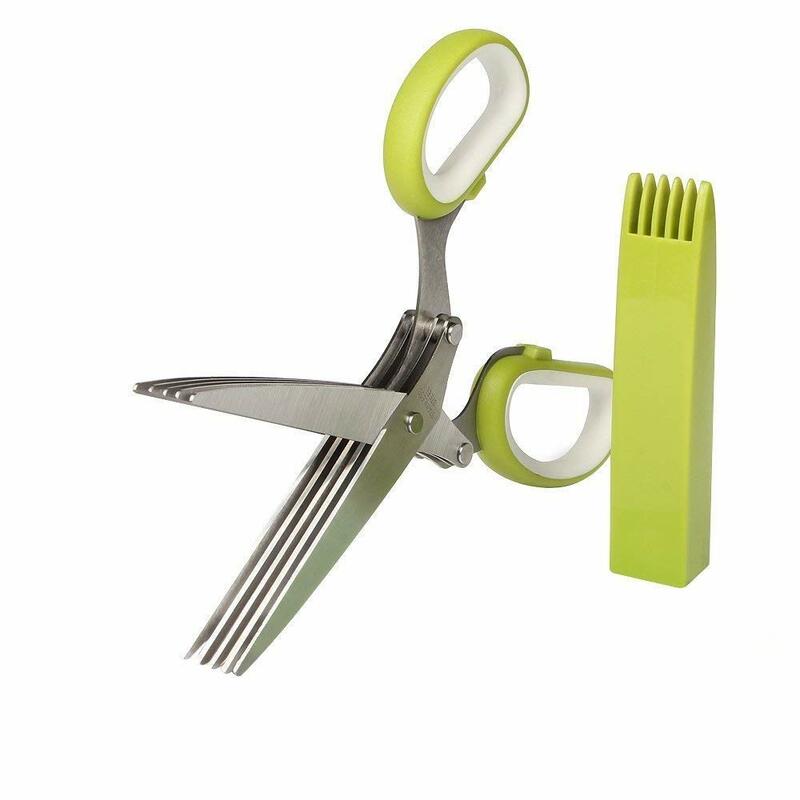 Herb Scissors – $12.99 – Aside from my Keurig and reusable K-Cups, this is probably the second most used item on this list in my household. I love to use fresh herbs in my household, and having these herb scissors makes chopping up herbs and small veggies such a breeze! 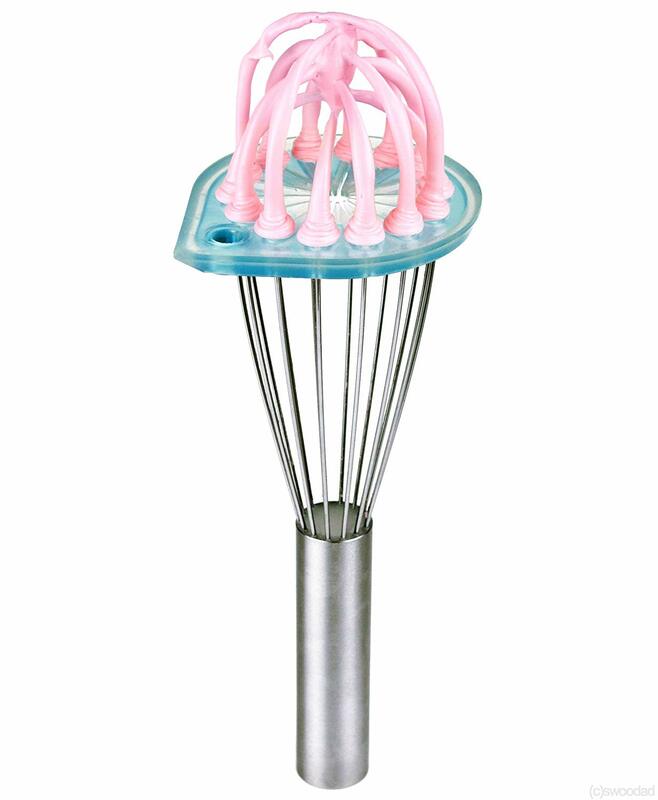 Whisk Wiper – $19.95 – If you’re shopping for an avid baker, this is a great gift idea! 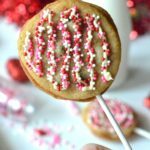 I use my whisk frequently, and I always have a rough time getting food and gunk out of it without getting my hands totally messy. 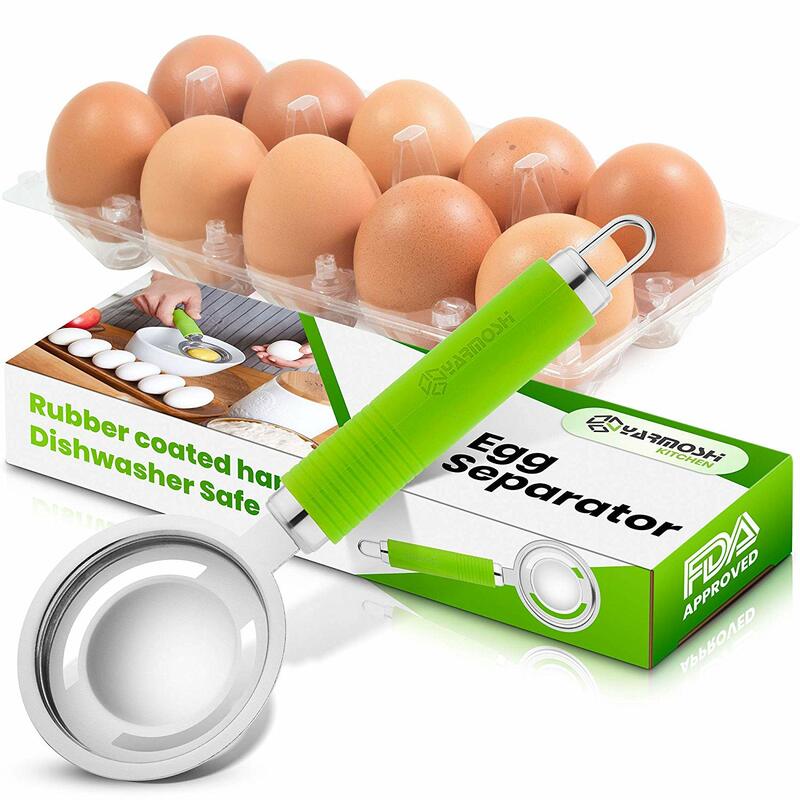 Plus, if you’re making a batter this gadget helps you waste less of the mix! Judging by the reviews on this product, I’d say it’s worth the price tag! 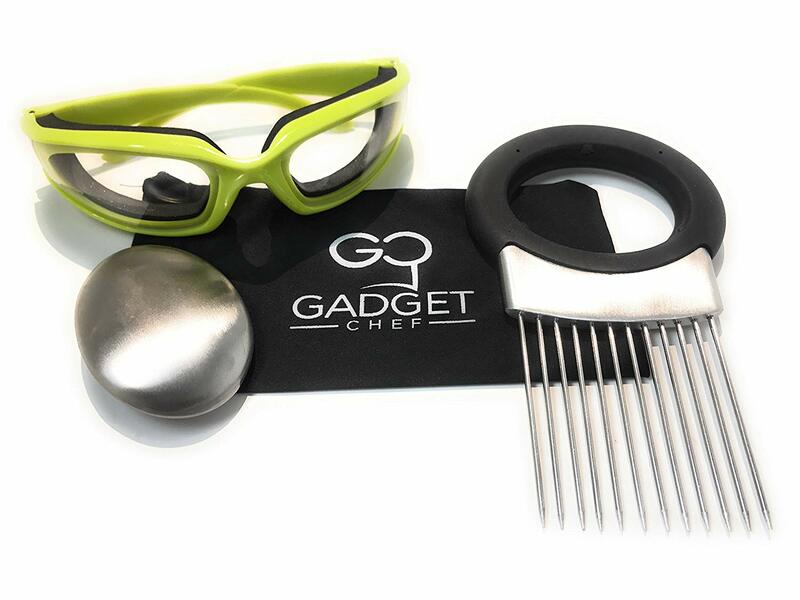 Onion Goggles Gift Set – $19.99 – I’ve always envied people that can chop onions without their eyes feeling like they’re on fire. I’m not one of those lucky people, unfortunately. I love onions, but I hate cutting them! These onion “safety glasses” help keep the sting out of your eyes so that you can chop those onions without any issue. Winner winner, onions for dinner! Bee’s Wrap Reusable Food Covers – $18.00 – I’m not sure how new this is on the market, but this product is pretty new to me and I am in LOVE! Last year I read an article about the benefits of skipping plastic wrap to cover foods and using bee’s wrap. (You can read all about that here, by the way!) These wraps are cute, washable, reusable, environmentally friendly, and all around good for the consumer. Win/win! 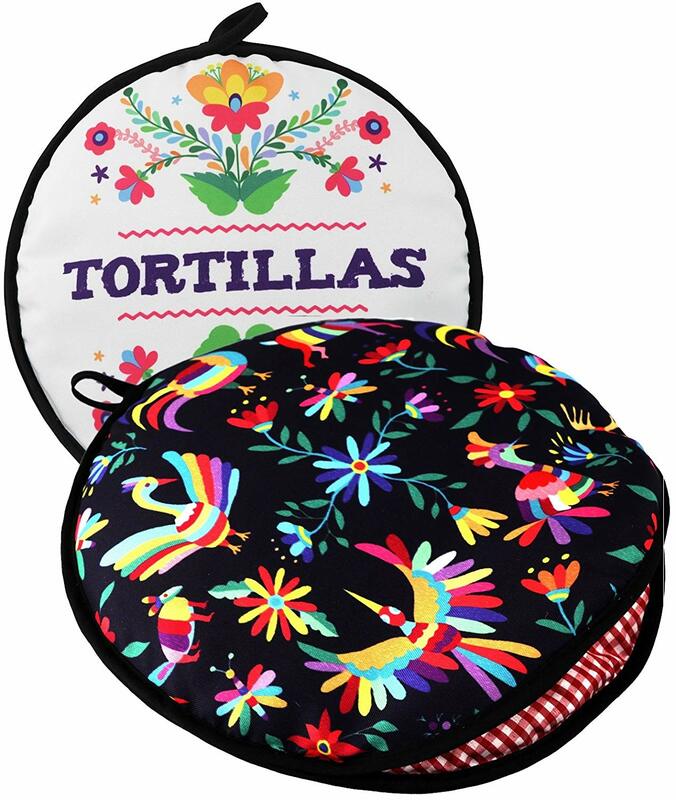 Tortilla Warmer – $11.97 – Again, if there’s a taco lover on your shopping list, this cute tortilla warm bag is a must! 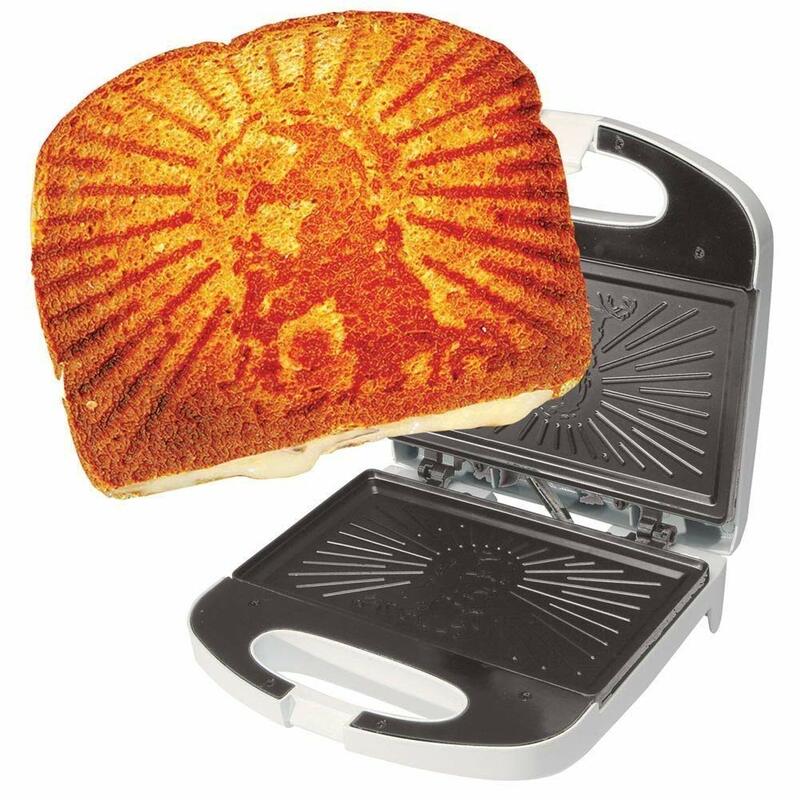 Pair it with a taco stand and avocado slicer and you’ve just worked your way to the top of the nice list! 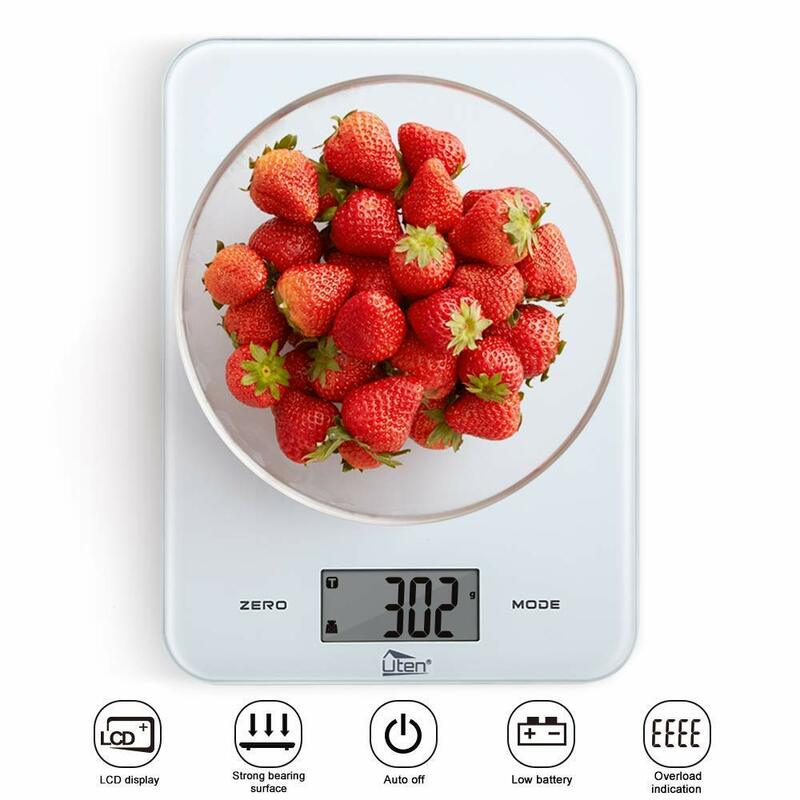 Digital Kitchen Scale – $14.95 – Having a kitchen scale on hand is a perfect tool for anyone who loves to spend time cooking in the kitchen. It’s also great for people who are trying to be mindful of portion control or may be on a strict diet for health purposes so that they can measure out their meals as needed. Reusable Microwave Safe Meal Prep Containers – $17.99 – Meal prepper? 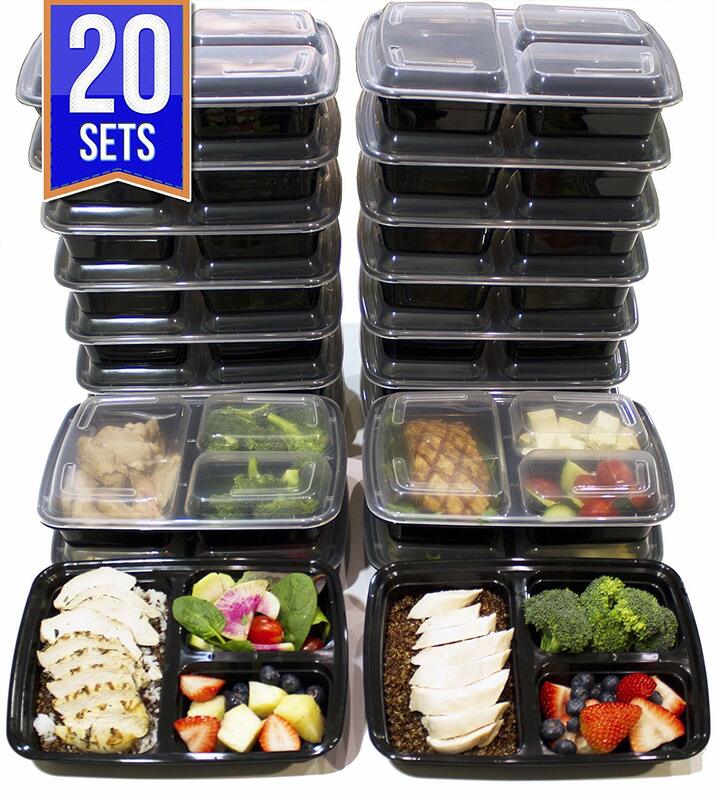 These are a huge help when prepping meals for the week to take on the go! I make my husband’s lunch for him daily, and it’s great to have the food sorted out into appropriate portion sizes! 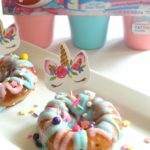 They best part is that these are microwave and dishwasher safe! 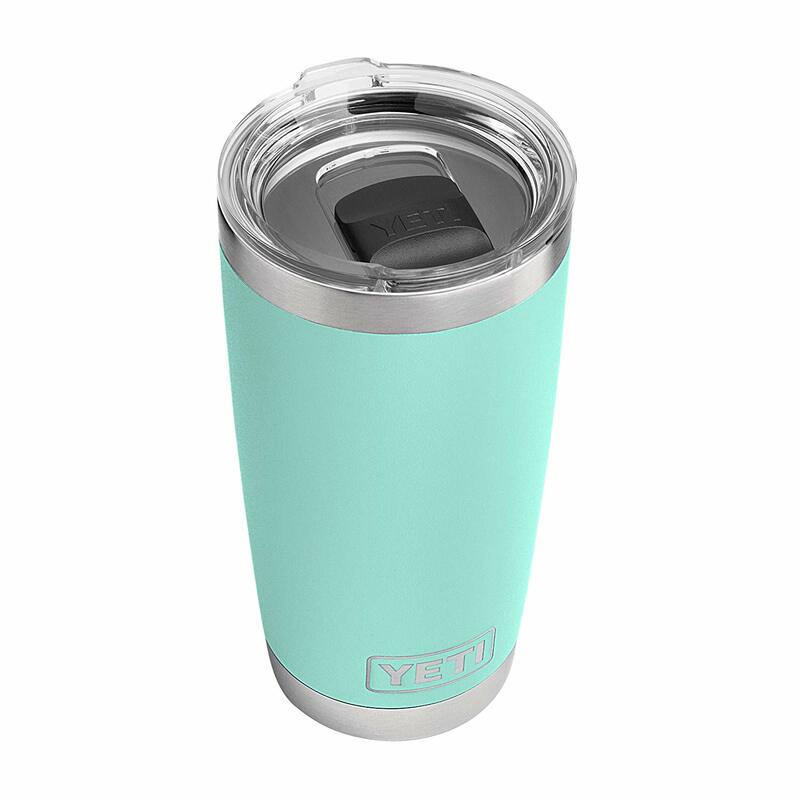 Yeti Insulated Tumbler Cup – $29.99 – While this one isn’t particularly a “gadget,” it’s still a wonderful gift idea! These cups are amazing at keeping drinks cold ALL day long. I put ice in my cup in the morning, and it’s still there late in the evening! I’ve used mine every single day since I received it last year for Christmas, and it’s worth every single penny. This cup comes in a ton of different color options, too, so you can find one for anyone on your shopping list! 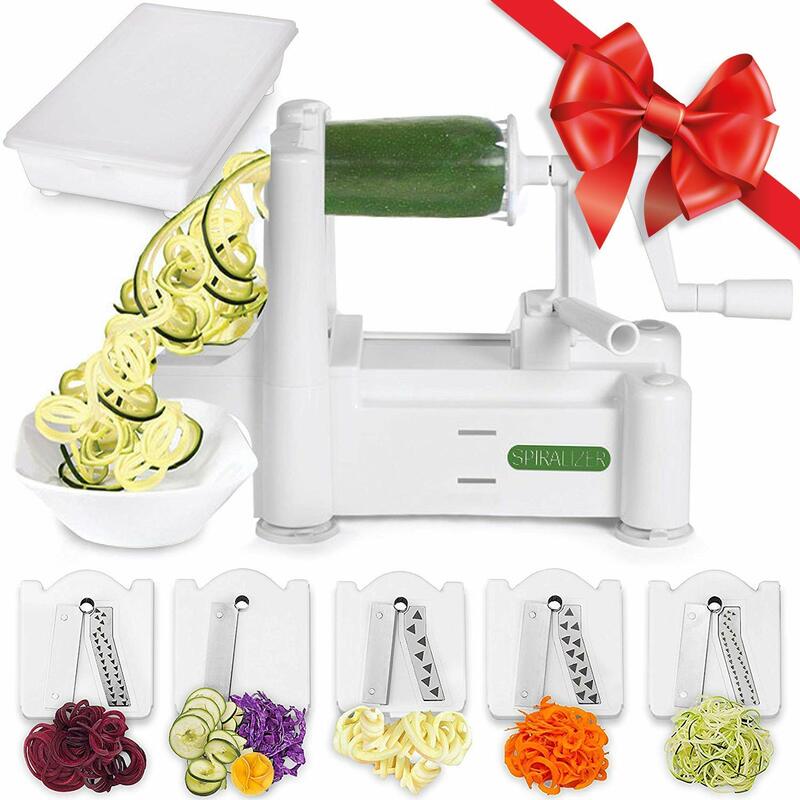 Veggie Spiralizer – $24.99 – If you follow my Insta-stories, you may have seen me break out my veggie spiralizer quite a few times! A veggie spiralizer transforms vegetables into spirals to be used as noodles, salad mix-ins or garnishes in so many recipes (especially low-carb and keto-friendly recipes!) It only takes just a few seconds to turn one zuccini into a plate full of “zoodles,” and it’s really a great gadget to keep on hand! 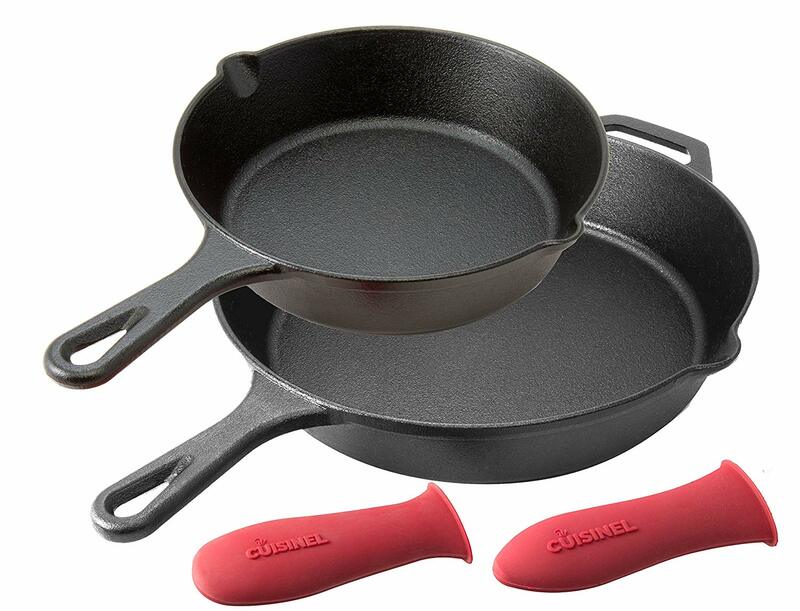 Pre-Seasoned Cast Iron Skillet Set – $29.99 – Every chef needs an iron skillet in their cooking arsenal! Honestly, I’ve always believed that food just tastes better when it’s prepared in an iron skillet. I really appreciate that these come with a rubber handle and are pre-seasoned. You can’t beat that price for a set of two, either! 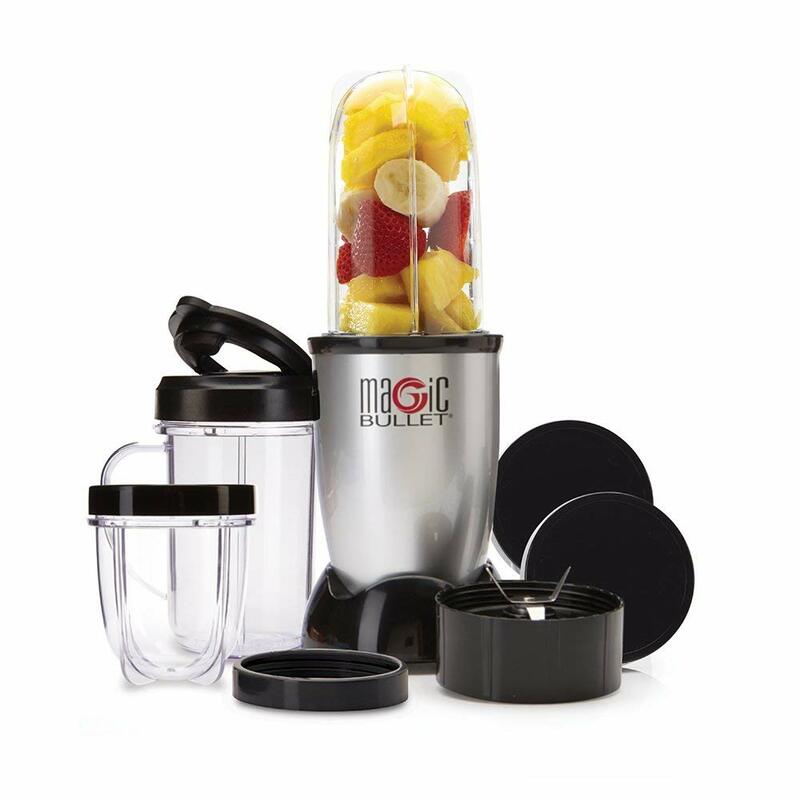 Magic Bullet Blender – $30.89 – Smoothie lovers rejoice over the Magic Bullet blender! Before having a single-serve blender, I would always misjudge how much smoothie to make and would end up with more smoothie than I could handle at one time. This solves all of those problems, and it’s great for when my toddler wants me to make her a special smoothie treat! 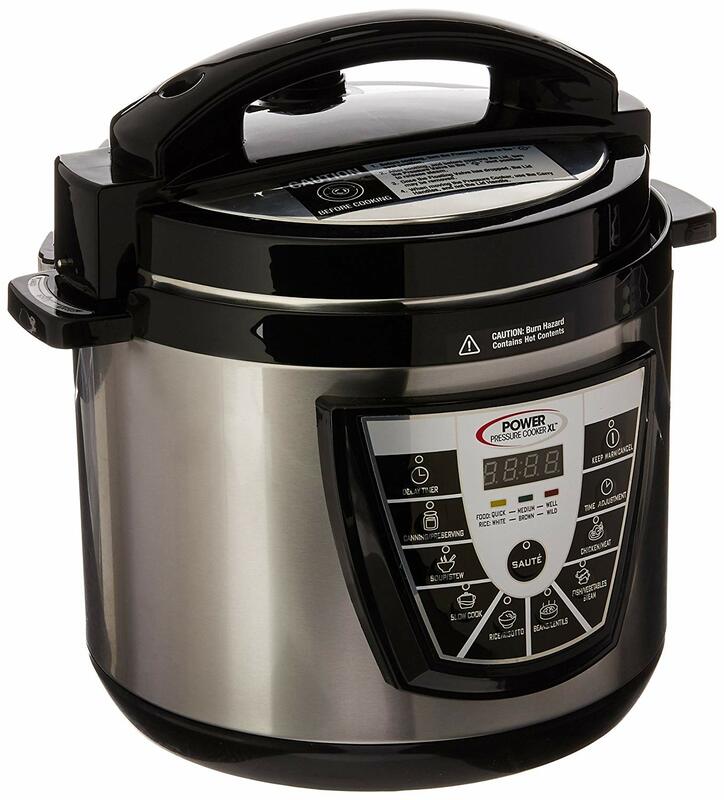 Power Pressure Cooker XL – $79.99 – Pressure cookers are great tools to put a delicious meal on the table fast, and I use mine in the kitchen all the time! I also LOVE to use it when canning fresh salsa, jellies and vegetables. 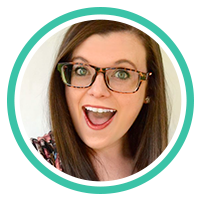 You can find my full review of this product here! 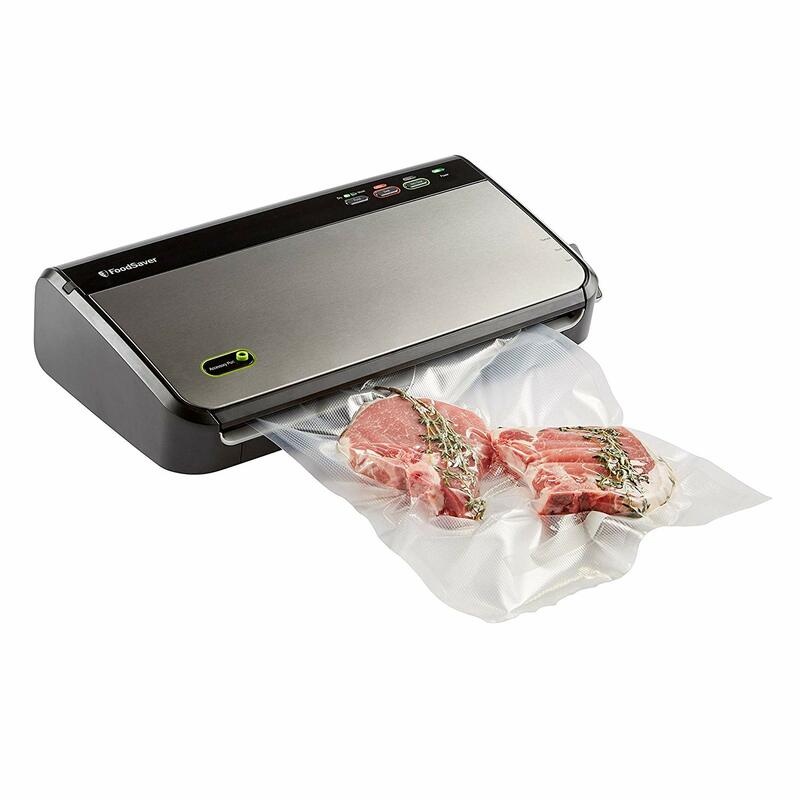 FoodSaver Vacuum Sealing System – $120.00 – Having a FoodSaver system in our house has been such a blessing! We hunt, process and preserve our own meats, and having the FoodSaver to help us keep our meats fresh is a must! We also use this product a TON during the summer months when we’re putting up fresh vegetables to freeze. If we ever come across good deals on cuts of meat or vegetables at the store, we love to buy in bulk and use the FoodSaver to seal them up. Huge money saver! 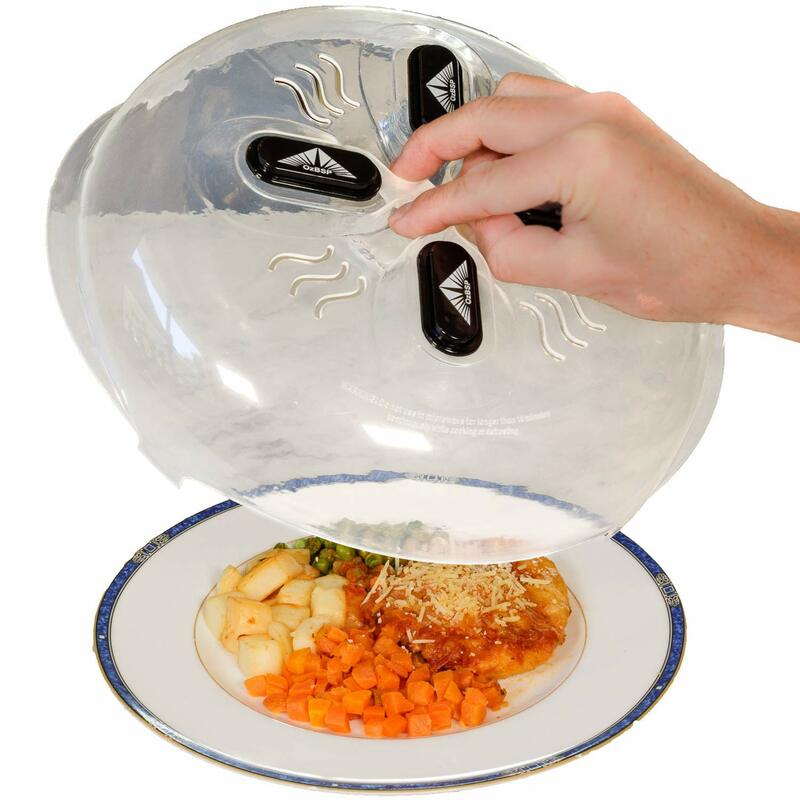 You can read my review on the FoodSaver System here. Power Air Fryer XL – $99.98 – It seems like 2018 was the year of the air-fryer! With the keto diet exploding, people have been on the hunt for low-carb options and ways to cook their favorite foods without using grease. 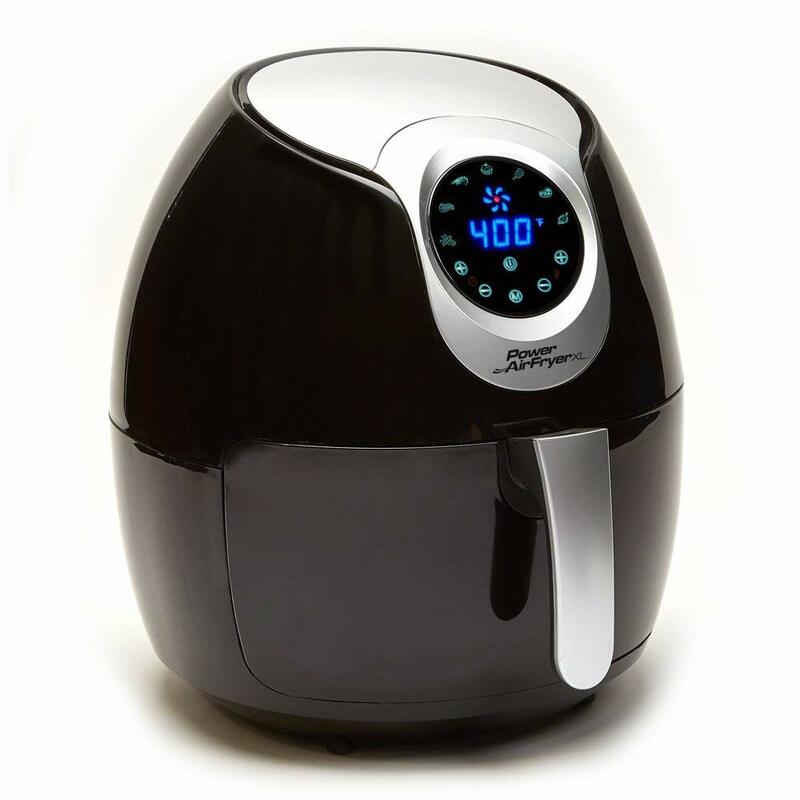 The air fryer is the perfect tool to help incorporate favorite foods into our diets in a healthier way! You can read all about my experience using this product here. 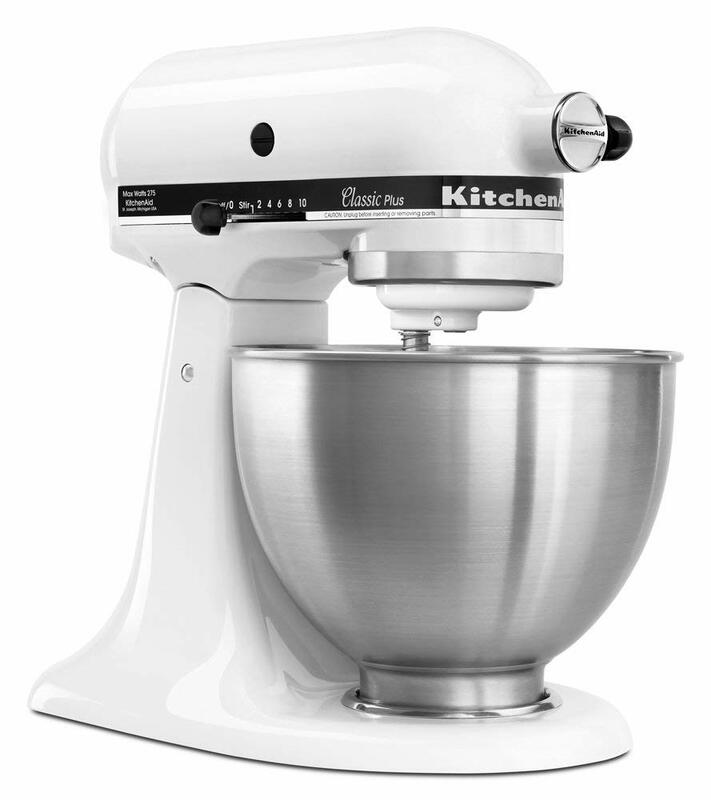 Classic Kitchen Aid Stand Mixer – $189.99 – My husband and I refer to the Kitchen Aid as “counter candy.” Are there cheaper stand mixers on the market? Of course? Are they as magical as a Kitchen Aid Stand Mixer is? Debatable. They’re the Cadillac of the stand mixer family, and they’re an AMAZING gift for the aspiring chef on your Christmas list! 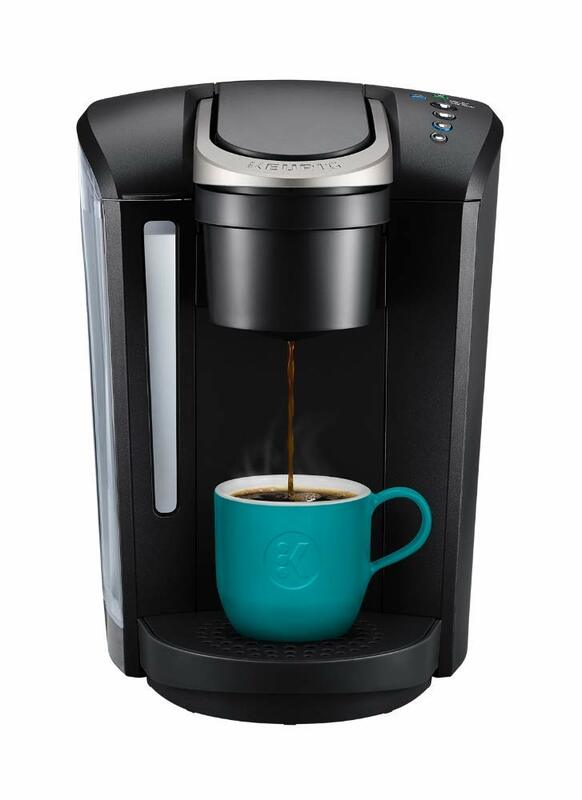 Keurig Coffee Brewer – $114.99 – If you’re shopping for a coffee lover, get ’em a Keurig brewing system! Paired with those reusable K-Cups I mentioned earlier, this will definitely be the gift that keep on giving this year! 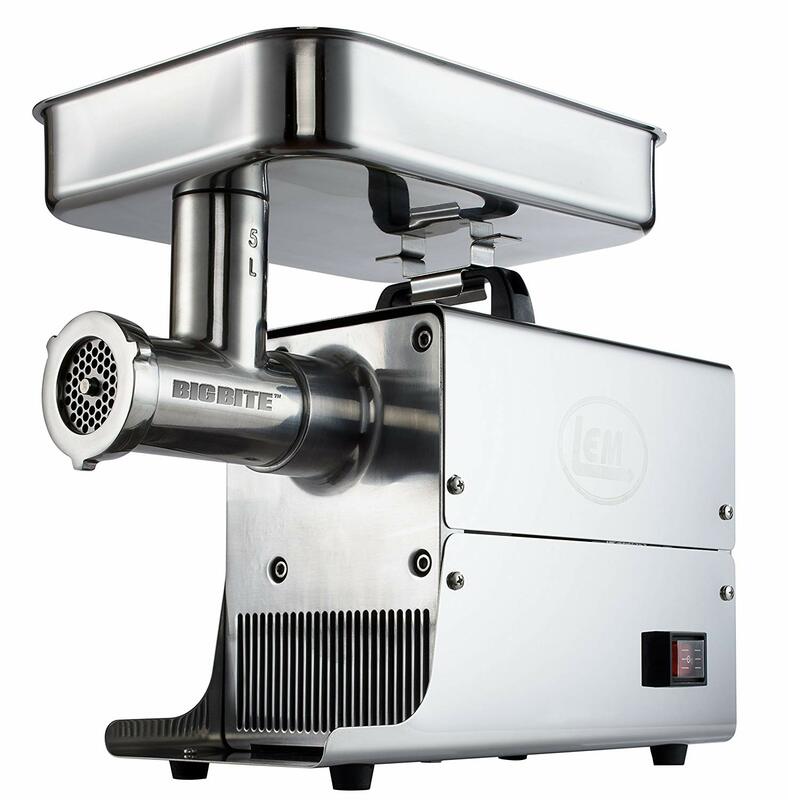 LEM Stainless Steal Meat Grinder – $265.44 – This particular kitchen gadget may seem like the odd-duck out of this roundup, but hear me out on it! As I mentioned earlier, we hunt and process our own meat. For people that either hunt or purchase their meat from a butcher in larger portions, having a meat grinder is a huge Godsend! By processing our meat ourselves, we’re eliminating the middle man and cutting down on food costs in a really big way. We simply grind, bag and freeze until we’re ready to cook! 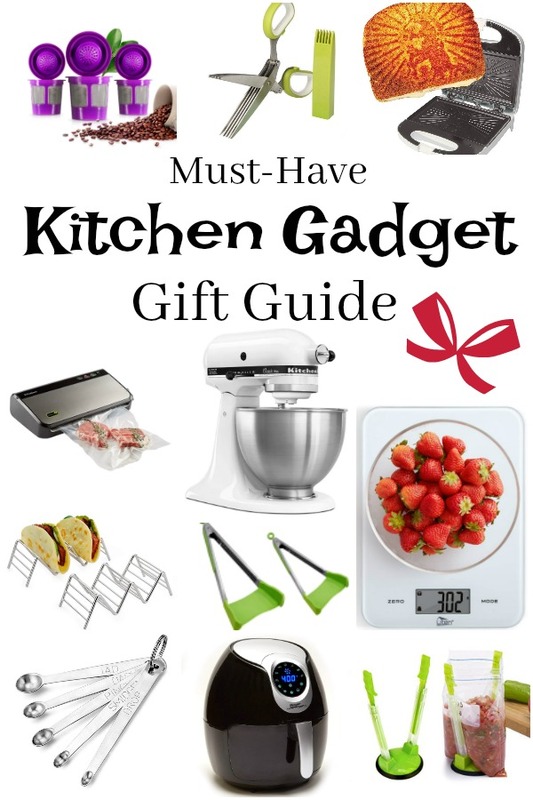 Do you have a kitchen gadget lover or foodie on your shopping list this year? 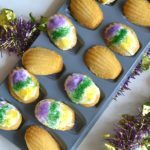 Hopefully this roundup of my favorite kitchen gadgets will help point you in the right direction when it comes to picking out the perfect gift for them! 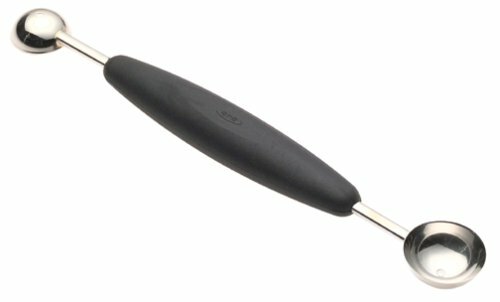 Do you have a kitchen gadget that you can’t live without? Tell me about it! I’m always on the hunt for something new, and it just might make it to this list!